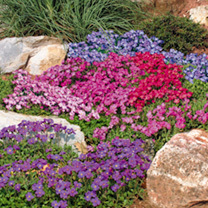 No garden’s quite complete without the gentle beauty of the aubrieta brightening those beds. 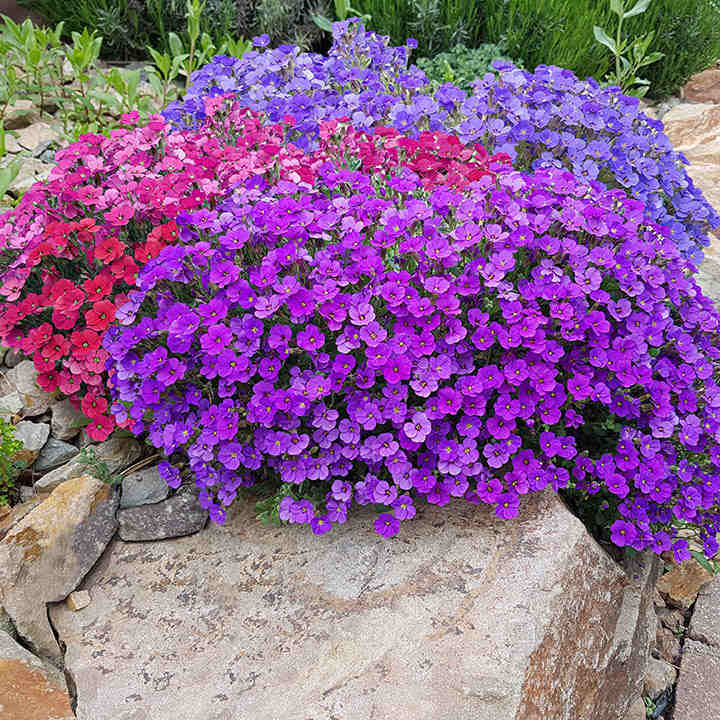 We’re thrilled to offer this gorgeous garden staple at a fantastic price, and it’ll produce a striking carpet of colour across your beds and rockeries. 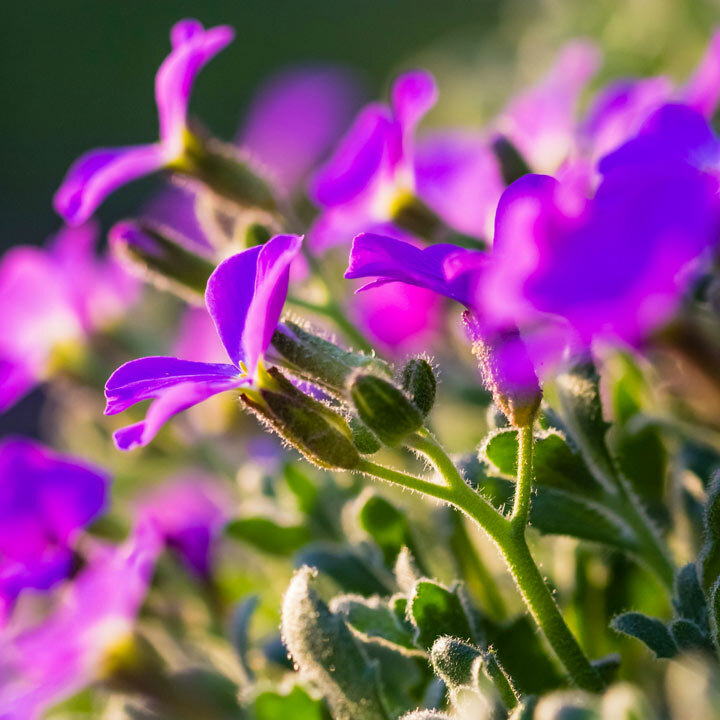 It’s super early flowering with flowers appearing from late March, so it’s a great one for adding a splash of spring colour to your outside space while you wait for the rest of the flowers to wake up after winter. Better still, aubrieta is a favourite early food for bees and other pollinators. This beautiful mix of aubrieta plants combines soft shades that blend together perfectly, including rose, lavender and lilac. 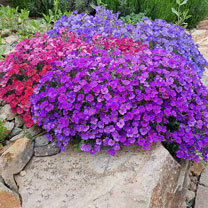 Aubrieta are hardy plants, just right for the front of the border or your rockery. A selection of different coloured varieties producing a mass of flowers that provide early season colour in the garden. Supplied in a 9cm pot. Flowers April-May. Height 1-10cm. Please note: Due to more aubrietas being blue this may be the dominant colour in the collection. Ideal for beds and borders. RHS Perfect for Pollinators. Prefers full sun or partial shade.